The condition of Connecticut, most reliable political doctors tell us, is not good. And if the condition of the state is failing, its future health will depend upon a radical cure. The treatment of the body politic must be different if the same regimen will deliver a death blow. What are the possibilities of radical change in Connecticut? Slim to none. A major part of the problem is that the executive department-state workers union combine, useful to both, has simply assumed powers and prerequisites that should belong to the General Assembly. For the last thirty years, state government has been run by "strong governors" – one thinks of former Governor Lowell Weicker or present Governor Dannel Malloy, allied with obliging leaders of the General Assembly – who set our feet on the path to the future and command charge of state finances. Now all that sounds intellectually complex, but it really is simple. It means that governors, not state legislatures, are primary decision makers, and within the state political architecture, state unions exercise far too much political power. What we have witnessed during the last quarter century is a gerrymandering of constitutional powers. The courts are a large part of it, which is why the selection of judges is so fiercely contested in a government structure in which the executive department combined with the judicial department has overwhelmed what should be the most representative sector of government, the legislative branch. Instead of a separate but co-equal constitutional power structure, we have devolved into a power structure in which a governor, allied with unions and easily persuaded legislative bosses, the Speaker of the House and the President Pro Tem of the Senate, run the state – most often out of public view. To put it in the simplest possible terms: The courts should ponder long and hard before they agree to accept any case that falls constitutionally within the purview of the legislature; the governor should administer rather than decide the state’s business; unions should have no part – none at all -- in shaping their own salaries and benefit packages; and the legislature should be far more jealous of its own constitutional and historic prerogatives. This would be real reform. The union problem is particularly nettlesome. Connecticut has no budget problem that cannot be settled by tax increases or spending reductions. Whether it is wise to raise taxes in the present economic environment is a question that certainly will be decided in days to come. 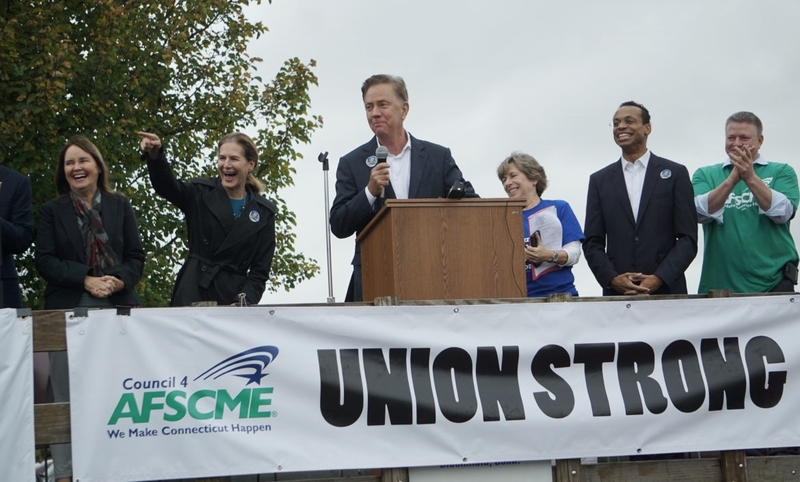 But unions in Connecticut should be politically defanged for reasons made plain by President Franklin Delano Roosevelt (FDR) in a letter he wrote in 1937 to National Federation of Federal Employees President Luther C. Stewart, who had asked Roosevelt whether he favored the unionization of federal workers. Roosevelt then reminded Stewart, none too gently, that a public strike of federal employees was not in his cards: “Particularly, I want to emphasize my conviction that militant tactics have no place in the functions of any organization of Government employees. Upon employees in the Federal service rests the obligation to serve the whole people, whose interests and welfare requires orderliness and continuity in the conduct of Government activities. This obligation is paramount. Since their own services have to do with the functioning of the Government, a strike of public employees manifests nothing less than an intent on their part to prevent or obstruct the operations of Government until their demands are satisfied. Such action, looking toward the paralysis of Government by those who have sworn to support it, is unthinkable and intolerable. It is, therefore, with a feeling of gratification that I have noted in the constitution of the National Federation of Federal Employees the provision that ‘under no circumstances shall this Federation engage in or support strikes against the United States Government.’"
Whether we will have in the near future a Rooseveltian solution to Connecticut’s pension and salary liabilities, or whether the General Assembly will continue to rent out its power over budgets to unions allied with Democrat leaders in the General Assembly and an increasingly progressive chief executive is very much an open question. Qui Bono? What Did The Winners Win?